Get First Aid Right Away from Cheetay! Pain relief ointments are a bliss when you need first aid after falling, getting a muscle spasm or simply a skin disease such as eczema. But, do you get them as easily from the store as you can by ordering online? Of course not. So, Cheetay is giving you the option to purchase anywhere and at any time. Another feature that makes a difference to your shopping is the affordable prices that it gives. Ointments is a tropical medication that is used to give immediate relief on the surface of your body. They could have an oily or greasy base or could be an emulsion of water and oil. With the change in the composition of ointments, product types change from creams and gels to balms and ointment lotions. Did you know that creams are a little different from ointments? They have a different ratio of cream and water. Therefore, most of the creams are used as beauty products to moisturize dry skin or nourish the oily skin. Those creams that are reducing inflammation, treating some other skin conditions or allergic reactions are known as topical corticosteroid. They are also used for toddlers under dressings and nappies. Even though these are simple creams, they are to be used with doctor’s consultation as an extra dose can cause reverse reactions. Some areas could be sensitive so an extra care is required while applying. In case the pain relief creams expire, make sure to new buy ointments online as they could have loose their effectiveness. Have you ever tried balms on your wounds? This is an oily soothing aromatic Vaseline that soothes and heals in a few applications. Balms are there to help scars and pains fade when they are categorized as ointments. In case they are being used for moisturizing, then they end up becoming beauty products. Most balms have turned into heat cream rubs. They are massaged gently on areas where you feel muscle pain or stiffness. Once applied, they work like heat therapies as they generate warmth to relax or soothe a sore, aching or injured muscle. This type of cream can be used when exercising as it contains pain relief medicated components. If oily ointments do not seem to suit you then look for gels. These are water-alcohol mixtures that are transparent in color and liquid in nature. Once they become in contact with the skin they dry off immediately leaving a thin film as part of active medication. Dicloran gel is one ointment that is used widely by those who have gout, migraine, muscle or joint sprain and rheumatoid arthritis. 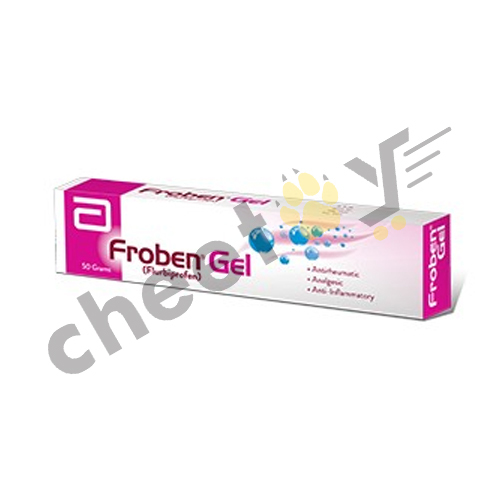 Other products such as Biofreeze and Fastum gel are used as cooling agents for relieving pain immensely. All ointments in the lists are original and you can get them at affordable prices. So, make your choice and let the pain vanish with Cheetay - your healing delivery partner.